Suri Cruise Clothes Blog: . Katie and Suri continue their weekend in the Hamptons with friends and family. 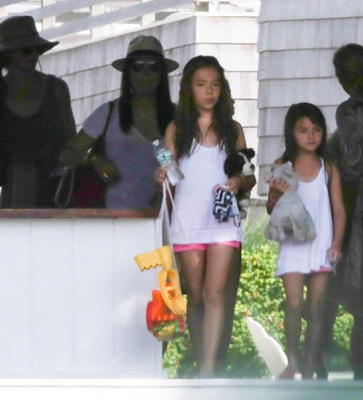 The happy group was spotted on their way to the beach on July 7th 2013. Suri is wearing white tank and pink shorts, just like her BFF Sydney.